Do you have a friend or relative who loves to garden or grow plants? 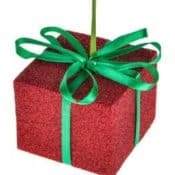 Do you want to give a thoughtful, regenerative gift for that special someone? Make an impression and give the gift that gives for years to come! If you wish to purchase a custom amount, simply email us and let us know the exact amount you’d like to purchase. NOTE: NO SHIPPING FEE! The shipping charge glitch has been fixed.